THEY improv provides improv comedy, game shows and murder mystery dinners for entertainment options and activities such as workshops, scavenger hunts, mini-Olympiads, audience Olympiads and mental challenges for a variety of groups looking for new approaches to bringing employees together and fostering a sense of teamwork throughout Georgia. Creating trust and success within your organization requires teamwork. Atlanta team building workshops provided by THEY improv are enjoyable experiences for all. When people have fun, they are more receptive to information and more likely to actively participate. Let's be honest, team building has a bad reputation among employees. The average employee thinks of team building as listening to a hippie in Birkenstocks talk about auras and energy. The reality of the experience is much different and can be a lot more effective. THEY improv professionals come from the business world. Our Atlanta team building workshops are designed with the true goals in mind. So what are these goals that have to be achieved for successful team building? What questions are the main questions facing management today that can help you decide to use a THEY improv Atlanta Team Building workshop? 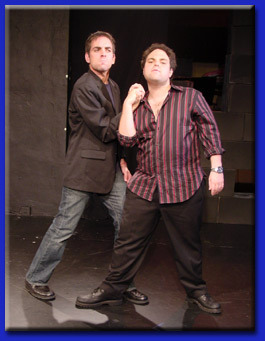 THEY improv can provide these services throughout the country or internationally for an additional fee. 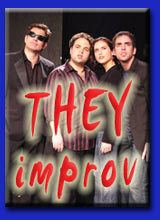 THEY improv is proud to serve the entire metro area including Downtown (Castleberry Hill, Centennial Hill, Fairlie-Poplar, Five Points, the Hotel District, Luckie Marietta, Peachtree Center, SoNo, and South Downtown), Midtown, Buckhead, Virginia-Highland, East Point, DeKalb County, the Perimeter, Brookhaven, Cumberland, East Cobb, Johns Creek, Roswell, Sandy Springs, Alpharetta, Peachtree City and just about anywhere else you can think of in the area.